How serious are we in our pursuit for the Kingdom of God? Well, before we answer that question, let us think about a few of the saints we commemorate this month. With that revelation, he told his brother he didn’t care anymore for the inheritance. Instead, he went off into the desert of Egypt and lived there for the next 70 years in solitude, seeking out God. Imagine, fleeing the world in order to seek out God in solitude. During the month of January, our Church calendar lifts up a number of great ascetics who did similar things as St. Paul of Thebes. St. Anthony the Great heard the Gospel imperative to “sell all that you have and give to the poor, and come follow me,” and he willingly gave all his parents’ inheritance to the poor, and then went into the desert for 85 years seeking out God – through prayer, asceticism, and wrestling with the demons and the devil. 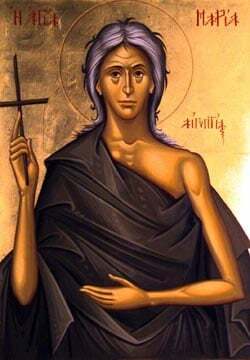 St Euthymios the Great was another ascetic who spent 65 years in a cave in the mountains of Jerusalem, praying unceasingly and seeking out God. Then there’s St John the Hut-Dweller, who left his parents home at age 12 to go into the desert. And he left a very comfortable home since his father was a Roman Senator. Yet he fled the comforts of this life in order to seek out something eternal, living the majority of his life as a pauper in a simple hut, communing with God through his prayers and good deeds to others. St Maximos the Confessor was another person who left a place of comfort. He was a well educated man who held a high position in the imperial court as the Secretary to the Emperor. Yet he chose to leave his high place in society to become a simple monk, holding on to the truth even when it was dangerous to do so. He was so adamant in proclaiming the truth of the Gospel that his adversaries eventually cut off his tongue and chopped off his right hand so that he could no longer speak or write the truth. Finally, St Makarios of Egypt lived in the desert for 60 years, building a monastery with 4000 monks. Once he was accused by an unmarried pregnant girl of being the father of her child. The pious saint never protested the false accusation, even when he was attacked and beaten by the girl’s family and the local villagers. He even quietly accepted the responsibility to support the girl, selling the baskets he wove and giving all money to the girl’s parents. When the time came for the girl to give birth, however, in the midst of her labor pains she confessed that it wasn’t St. Makarios’ baby, but another man’s. St. Makarios’ humility led him to even greater heights in his journey to God. Whether St. Paul of Thebes, St. Anthony the Great, St. John the Hut-Dweller, St. Maximus the Confessor, St Euthymios or St. Makarios of Egypt, each of them stands out as reminders to us of people extremely serious in their pursuit for God and His kingdom. These were not men who were lukewarm in faith, nor were they casual in their pursuit for God. Today’s society, and much of contemporary Christianity, deceptively instills in us the attitude that the Christian walk is an easy, casual stroll. God loves everyone, and since He loved everyone, all will be saved. We can really do whatever we want, and live life like everyone else all around us, as long as we have some casual belief in a loving God, all is OK.
Of course, it is true that God is love, and that His divine love for us is unconditional. Holy Scriptures does say that Christ desires all people to be saved and come to a knowledge of the truth. Yet, if our faith is so easy, and our path to union with God so simple, then why did these great ascetics pursue God in such radical ways? Why go off into the desert and live in solitude for 80 years? Why allow your tongue and hand to be chopped off because you won’t deny the truth? Why reject your parent’s inheritance and live the life of a pauper for God’s sake? Were these men simply crazy in their means to pursue God, or did they understand something deeper in life? God’s love is surely unconditional and He does desire that all people, each one of us, find the narrow path that leads to His heavenly kingdom. Yet God can’t force his divine love on us. He offers, but we must accept. We have to decide to overcome anything and everything that stands in the way of truly receiving this love. The ascetic struggles of the great saints were not efforts to win or earn God’s love. They were struggles against all the demons and passions that hinder us from truly experiencing God. Our lives are all filled with many passions and habits and inner demons that constantly pull us away from God, that hinder us from experiencing His love in its fullness. Every day we have to make a serious effort, we have to struggle to crucify our egocentric desires, denying ourselves and overcoming our passions in order to receive God’s love in its fullness. So today, let us reflect on the lives of St. Paul of Thebes, St. Anthony the Great, St. Euthymios, St. Makarios, and other great ascetics. Remember their soberness of life, their serious effort, their struggle to overcome their inner demons, to crucify their passion, and thus to open up their hearts to receive God’s Spirit in abundance. And let us make our greatest desire and our most serious effort in life to be one that seeks after God and His kingdom above all else.